Although, given the rapid approach of Halloween, I suppose a certain amount of dead-ness would be appropriate. No, I’m just embroiled in term paper season. Huzzah for online submissions, because if I had to haul all this grading around, I’d need a forklift. Don’t get me wrong; I welcome the warm and slightly sticky embrace of academia. But I also have this recurring nightmare in which everyone I know is judging me for having enough free time to eat and sleep, so I’ve decided to remedy that problem by tackling NaNoWriMo once again, starting Tuesday. You can support the madness (and get early access to chapters, ARCs, and exclusive extras) by contributing on my spanking-new Patreon page. If you’re not familiar with Patreon, it’s a bit like Kickstarter, except that the contribution tiers are smaller, and the pledge is monthly rather than one-time. My current goal is 125USD, or enough to purchase an ISBN for eventual paper copies of that NaNo project. What’s that NaNo project going to look like? Well, I’ve been teasing it for some time, now. Amidst the gin-soaked aftermath of the Great War, the next generation of vampire hunters contends with evil returned and the sad darkness of shell shock. Meg is a bluestocking, a book girl who loves research and learning. But van Helsing blood flows through her veins, and the ancient curse of Dracula did not die among the wicked peaks of the Carpathians. 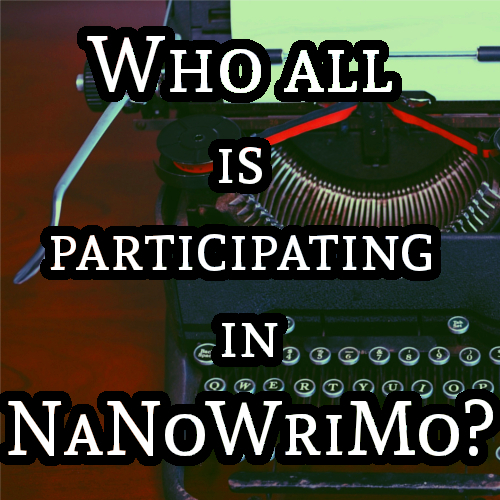 Tagged nanowrimo, patreon, The Van Helsing Legacy. Bookmark the permalink.